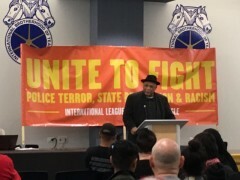 Major anti-imperialist conference held in Chicago | Fight Back! 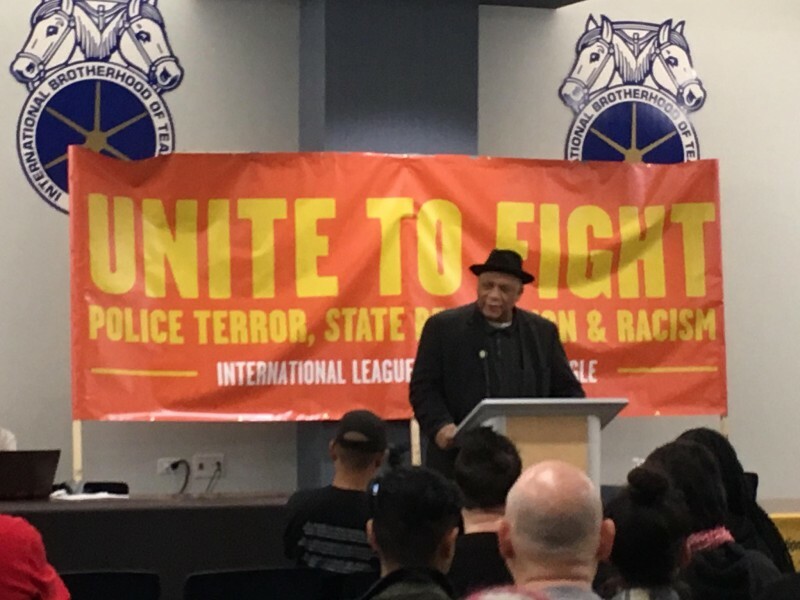 Chicago, IL - “Right to Exist, Right to Resist” was the theme of the national political conference called by the International League of People’s Struggles (ILPS) - U.S. Chapter, held in Chicago, Oct. 22. ILPS is an anti-imperialist and democratic formation, which promotes anti-imperialist and democratic struggles of the peoples of the world. “We mobilized over 160 people from around the U.S. and Canada to discuss how to build the struggle against U.S. wars abroad and war on the workers and oppressed people at home,” said Bernadette Ellorin, national chairperson of BAYAN USA, an alliance of progressive Filipino organizations. Featured at the conference were speeches by local leaders engaged in major battles. The conference took place on the second anniversary of the murder of Laquan McDonald, a 17-year-old Black high school student murdered by a racist Chicago cop. Over the past year, there has been wave after wave of struggle against the Chicago Police Department, the mayor and all levels of city government for their role in the cover-up of the murder of McDonald. Sarah Chambers, a member of the executive board of the Chicago Teachers Union, gave a fiery speech about the recent contract fight for 23,000 teachers. They have tentatively agreed to accept a contract with the city, but Chambers called for her sisters and brothers to prepare themselves for years of battle with Mayor Rahm Emanuel’s austerity program. She said, “Militant unions are no longer a question, it is our only way to survive."